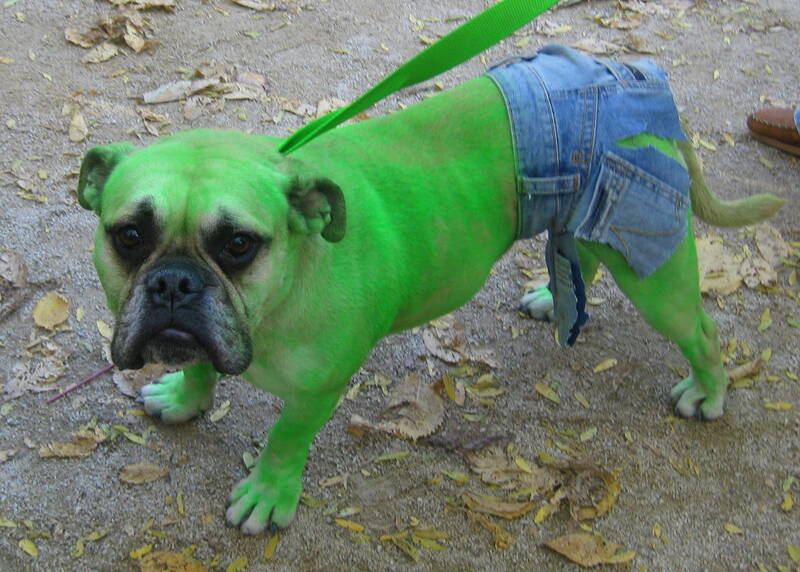 If there’s one thing people really love, it’s dressing dogs in utterly embarrassing costumes for Halloween and geeky types are some of the worst offenders. 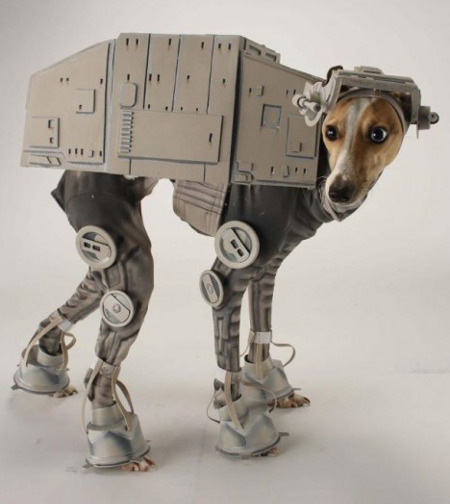 So, here are 10 very nerdy costumes for dogs. 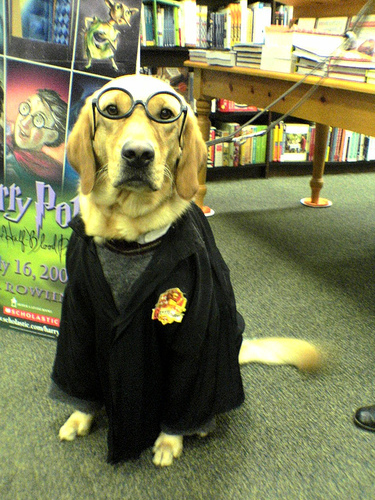 With the epic final film finally released this year, show how much you love Harry Potter by dressing your dog in those iconic glasses and robe. Star Wars holds a very special place in the heart of geeks all over the world and this costume has to be one of the coolest Star Wars-themed ones out there. Imagine your AT-AT dog marching on the snowy plains of Hoth. 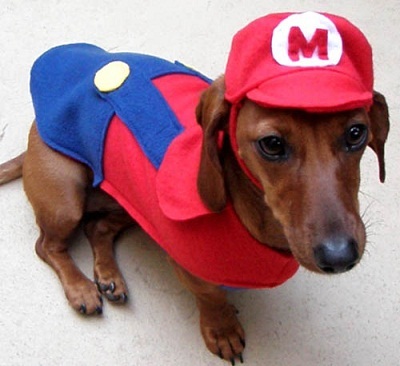 Straight from the Nintendo to your leash comes the classic gaming plumber. 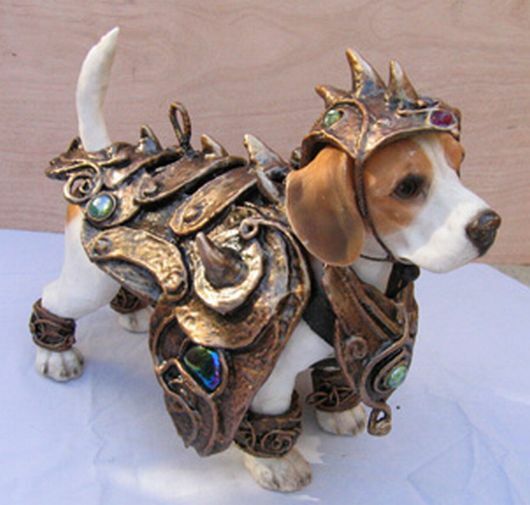 Although not from any pop culture media, this warrior dog is sure to bring the geek out. 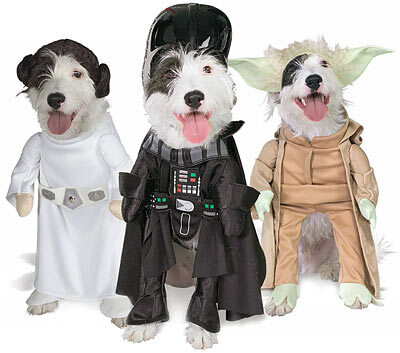 Although there was already a Star Wars-related costume on this list, who wouldn’t want their dog to be Leia, Yoda or Darth Vader? 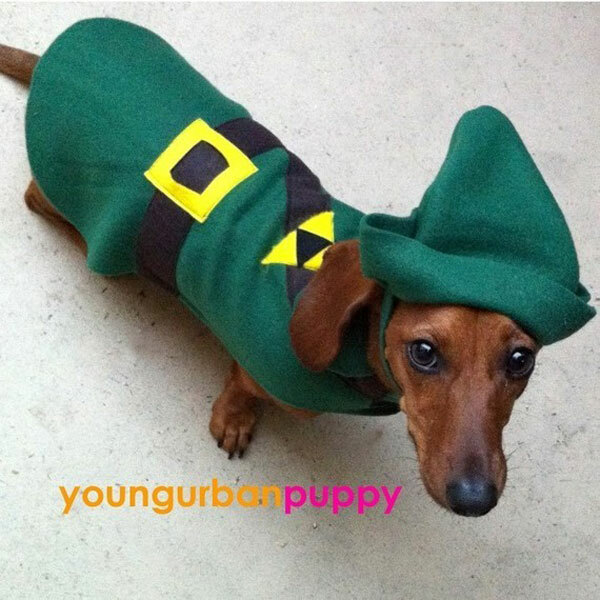 On his journey to save Zelda, this Link dog shows just how nerdy his owner really is. A truly ingenious idea requires a little bit of coloring and jeans. 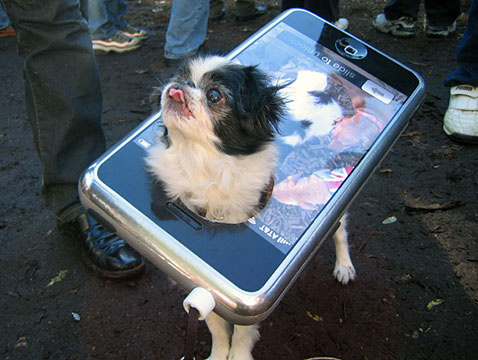 While I’m sure this could have been executed much smoother, the iDog is a tech-lover’s dream costume… for a dog of course. 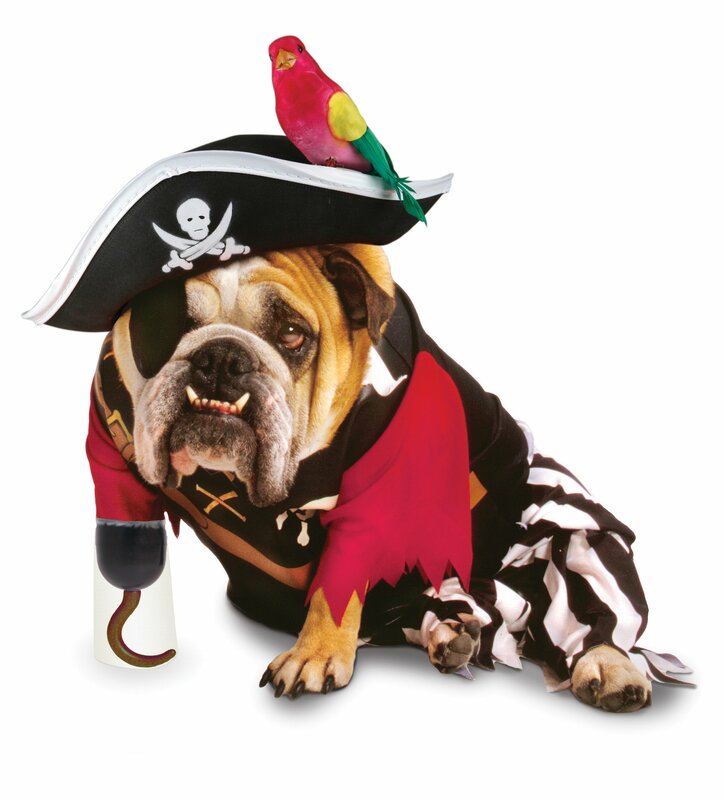 Although pirates may be going out of style, you can still show just how much of a fanboy you are with this classic pirate dog costume. 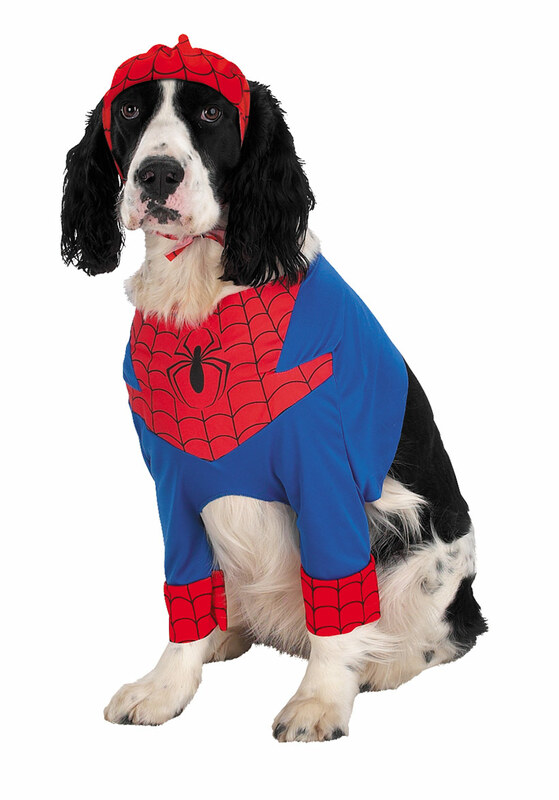 This comic book superhero can do whatever a dog can. About the author: Timothy Martinez Jr. is a freelance writer and blogs for a variety of people, including a local Tucson Bankruptcy Attorney.